Jessica and Michael held a destination wedding at Laplaya Beach and Golf resort in November. October and November are perfect months in Florida for beach weddings. The weather is always usually very nice with little rain. After Jessica was done getting ready at her room at Laplaya, we brought her out onto the balcony and placed her in front of this amazing view! The wind caught her veil at just the right moment and we were able to snap this photograph. Jessica and Michael are from the Chicago area. 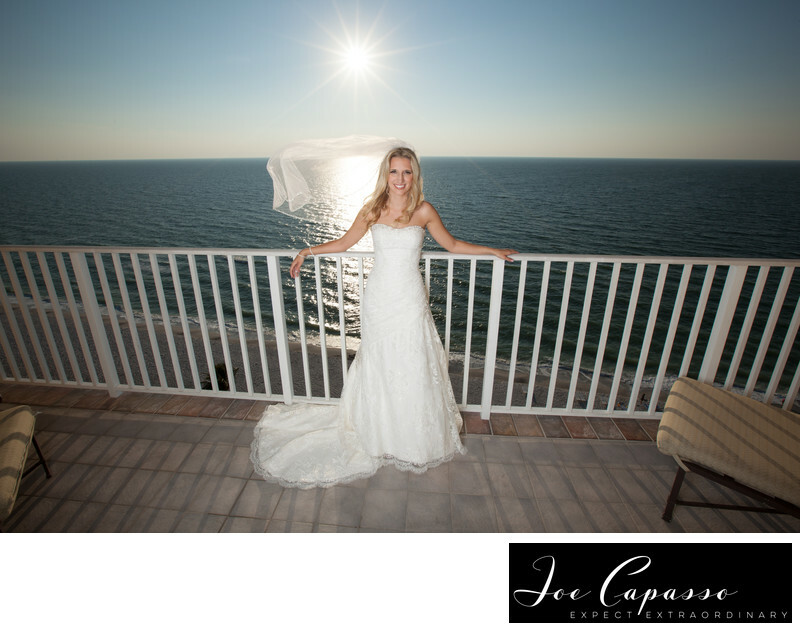 They loved the idea of having a Naples destination wedding where the weather is warm most of the year! Wedding photography was very important to them, so finding the right naples photographer was a key part of their planning process. Keywords: laplaya (21), laplaya beach and golf resort (24), naples photographer (18), naples wedding (27), naples wedding photographer (45).